Amazing feature of the unique Aouk Underground River is narrow, deep hole through the rainforest and deep in the ground – Keek sinkhole. 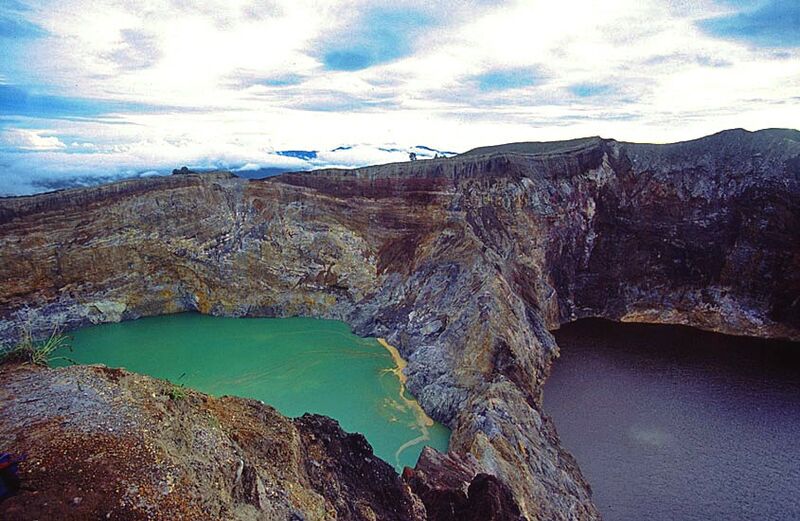 This deep sinkhole in the Arfak Mountains was formed when the ceiling of a cave above the Aouk Underground River collapsed. 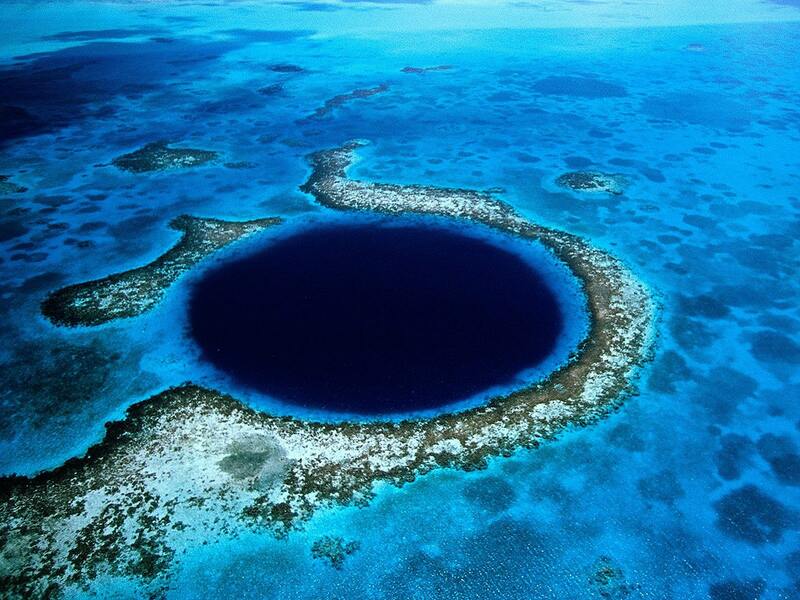 This hole is some 150 m long and 110 m wide, approximately 160 – 180 m deep. 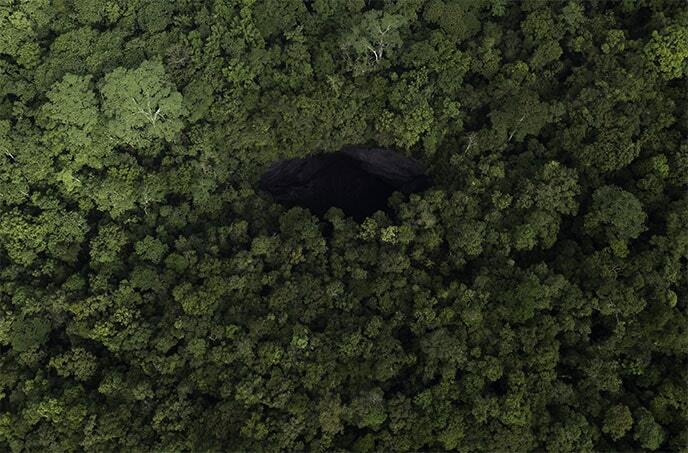 The sinkhole is bell-shaped – below it is wider, but its mouth above is more narrow – just 100 by 60 m wide. Its volume is approximately 1.4 million m3. The size of this sinkhole exceeds 100 m and also the depth exceeds 100 m – thus Keek sinkhole can be considered to be a true tiankeng. The whole floor of this sinkhole is just a fast river – this hole in the ground is a window to the underground stream of Aouk. The stream of Aouk comes from the south after passing through some 1.7 km long underground passage from Wakut – the gloomy entrance in Aouk Underground River. 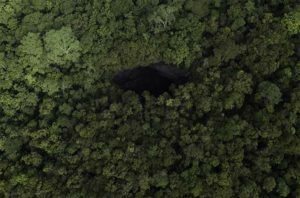 Nearby are two more giant sinkholes: Hafasu Tiankeng and Kuom Tiankeng.